Denver Prenatal massage is a great way to reduce discomfort during pregnancy. Our Denver massage therapist is expertly trained and experienced in providing therapeutic and relaxing massage to expecting mothers. Many of our prenatal massage clients in Denver see pain and muscle relief in the hips and low back, increased energy, decreased stress, and improved circulation for swelling. We pride ourselves in providing amazing service and therapy to give our Denver massage patients the best experience possible. What makes our massage clinic different? Expert care by our resident licensed massage therapist, Stacie Glenn, LMT. 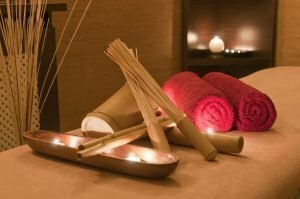 What are some benefits of prenatal massage? Pain relief in various problem areas including pelvis, low back, hips, feet, between the shoulder blades, and neck, among others. Is massage therapy safe during pregnancy? Massage therapy is extremely safe and enhances the pregnancy experience by reducing stress, pain, and improving general well being in the patient. Our massage therapists have specialized training and vast experience with pregnancy and prenatal massage. We talk with all our clients prior to massage to answer any questions and address any concerns before the massage begins. This allows full relaxation and also the added ability of letting our therapist know about any problem areas. If you are looking for a specialized prenatal massage in Denver, please contact us or use the book now button above for an appointment.